First, click here to read and follow our guide on enabling Let's Encrypt. The AutoSSL guide is the same when you initially enable it. 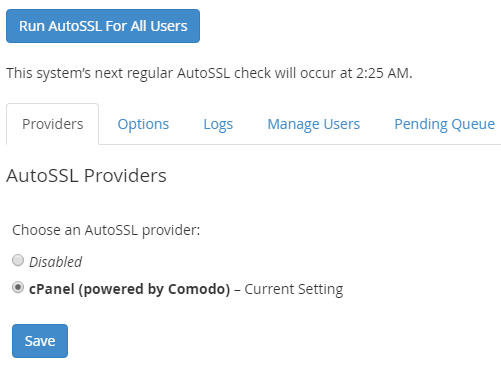 By default, you'll only have the cPanel (powered by Comodo) option. 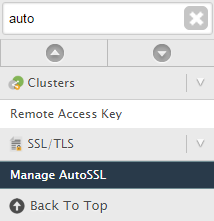 However, you can also set up Let's Encrypt as an alternate AutoSSL provider. Click here for a guide on doing that or if you have a managed service, feel free to submit a support ticket and we'll take care of that for you. 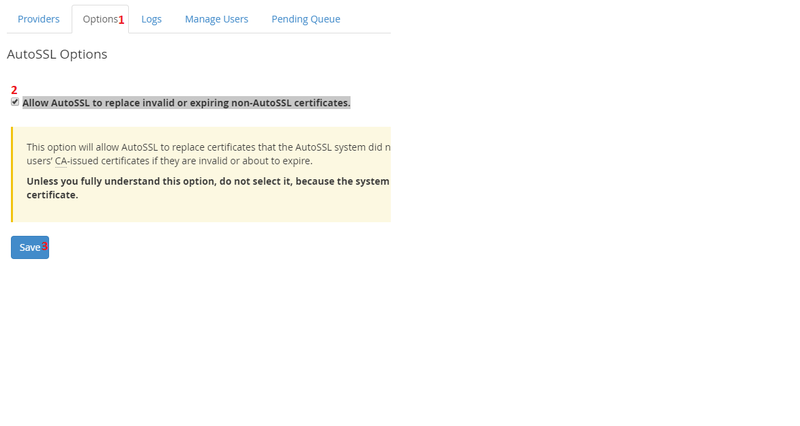 If you just wish to install an SSL certificate on all domains/subdomains just click the Run AutoSSL For All Users button. Note that the process can take up to an hour to complete. 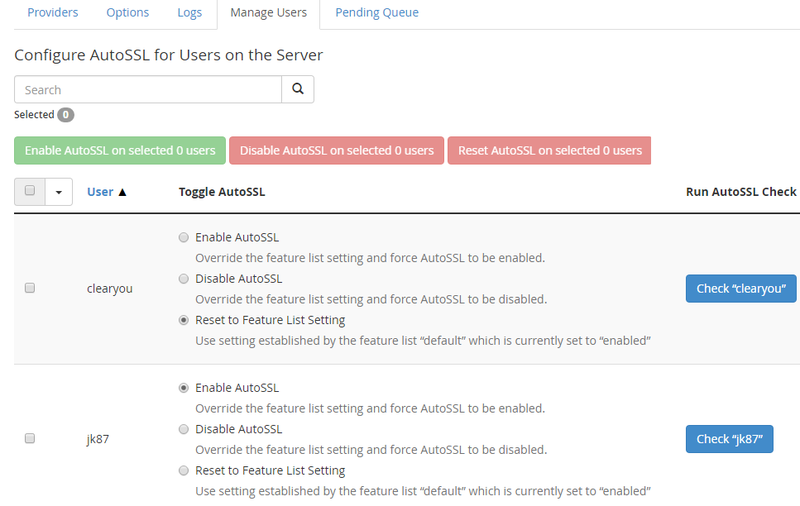 You can also change individual AutoSSL settings on a per cPanel account basis from the Manage Users. note that this will overwrite the package/feature value.